Like many of the animal advocates we feature on the show, Marc Ching is a hero for the animals. But what makes him stand out is his relentless drive to fight for the animals in risking his life, being beaten, robbed and held at gunpoint as well as with a machete blade, in his efforts to rescue hundreds of dogs in both China and South Korea from the meat industry. He is making this work his mission, and has witnessed terrible things in the dog slaughterhouses in Asia by doing so. Marc is the founder of The Animal Hope and Wellness Foundation, which is a non-profit organization in California focused on rescuing and rehabilitating severely abused animals. 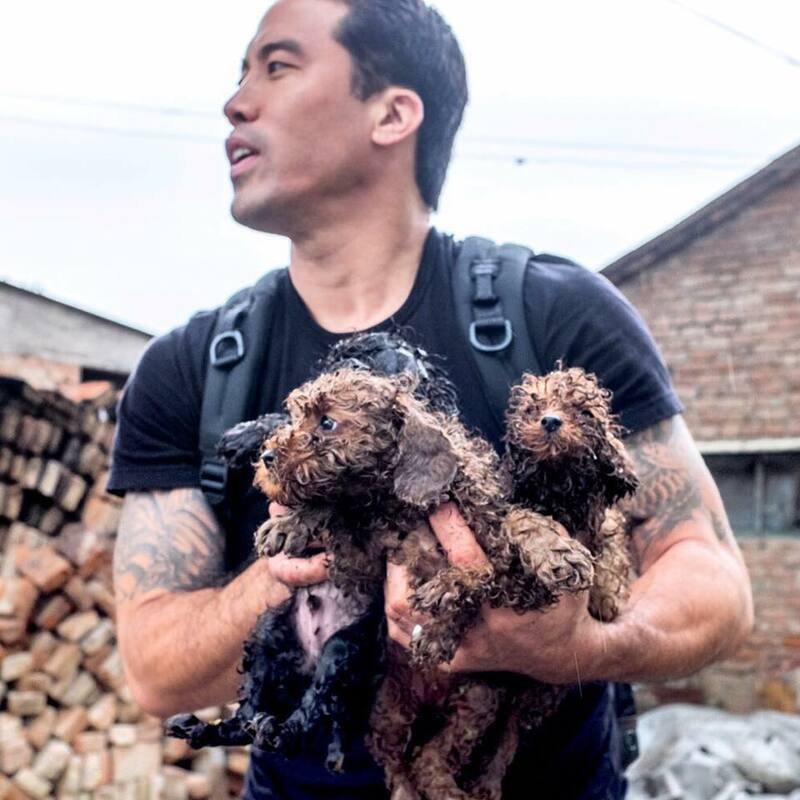 In this feature interview, he is here to speak to us about his life’s mission in these rescues, and the dog meat industry in Asia. It’s strange. When I look back a year and think, I cannot even recognize my hands. I have died so many times since then. But with each breath, have been born again. I am stronger, but definitely weaker. I am lost. But found pieces of myself I could not find unless I stood next to death.